YIMBYtown, an annual three-day conference for supporters of the “Yes In My Backyard” movement, is coming to Boston this September 20th through 23rd. Community organizers, political leaders, educators, and others who share BBH’s commitment to ending the housing crisis will come together to identify problems, share resources, and create solutions that impact housing on local, state, and national levels. The conference takes place at Roxbury Community College and is being organized by local YIMBY activists, including BBH’s own Senior Project Manager, Jesse Kanson-Benanav, andGen2Gen Steering Committee member, Callie Clark, of the Mass Housing Partnership. BBH is a proud sponsor of Sunday’s panel discussion, “Beyond Our Backyards: Regional Thinking to Address the Housing Crisis,” This event is open to the public and will feature Janelle Chan (Undersecretary, Department of Housing & Community Development), Joseph Curtatone (Mayor of Somerville), Kim Driscoll (Mayor of Salem), Marc McGovern (Mayor of Cambridge), and Sheila Dillon (Boston’s Chief of Housing and Director of Neighborhood Development), and will be moderated by Dana LeWinter (CHAPA’s Municipal Engagement Director). Join BBH for Sunday’s panel or the entire weekend. Click here to learn more and register for Sunday’s panel event. Annual Summer Cookout at The Coolidge at Sudbury! 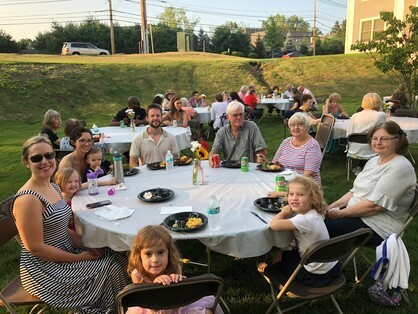 On August 16th, The Coolidge at Sudbury hosted its Third Annual Family Cookout. Residents and their families took the opportunity to enjoy the warm weather and the beautiful patio space at The Coolidge. Guests scooped up plates of delicious classics from Firefly BBQ, served up by staff members, while jazz vocalist, Jim Porcella, performed. 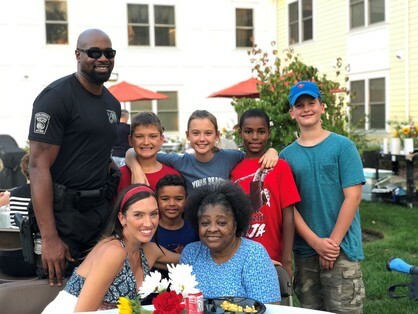 A special celebration for the residents with summer birthdays and the announcement of the fitness class raffle topped off this festive evening. Community-building events like the Family Cookout are a big part of BBH’s service-enriched housing model. By creating opportunities for neighbors to connect, BBH and their partners are fighting the isolation that so many seniors face in their daily lives. 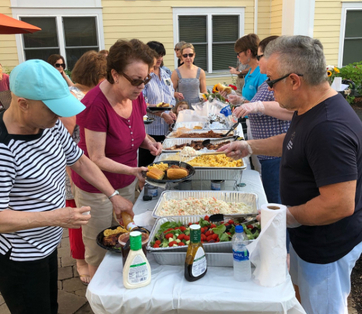 We thank the Coolidge at Sudbury staff for another successful cookout enjoyed by so many and for helping our residents enjoy happier, healthier lives! Last year’s Tax Cuts and Jobs Act introduced a new provision for Opportunity Zones, which encourages investors to put money into development projects in needy communities by providing significant tax breaks. In her latest bi-monthly op-ed for Banker & Tradesman, BBH Executive Director, Susan Gittelman, discusses the potential of the unprecedented program to benefit areas with the greatest needs. 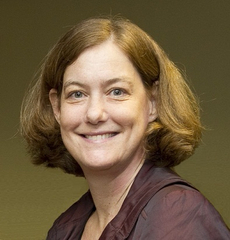 Click here to read Susan’s August op-ed for Banker & Tradesman. Meet Violet, previously a preschool teacher from sunny Florida! Violet moved to Massachusetts shortly after she became blind, eight years ago. Determined not to be defined by her blindness, Violet is one of the most independent and ambitious residents at Covenant House Communities. She loves how well the building suits her needs, how accommodating the staff are, and how that support has helped her maintain her active lifestyle. 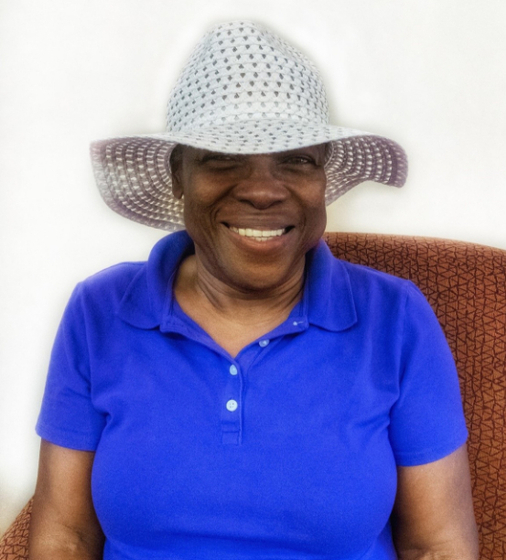 Violet is a regular user of the fitness center and loves chatting with Activity Coordinator, Catrina, swapping recipes to prepare for her neighbors and friends. When Violet arrived at Covenant House, the staff introduced her to MBTA’s shared-ride paratransit service, The Ride. This support, in combination with close proximity to public transportation, allows Violet to navigate the Greater Boston area with ease and pursue her passion for working with children. A devoted volunteer working twenty hours a week at a preschool in Boston, Violet is also a former foster grandparent! Watching Violet and so many other BBH residents thrive, is incredibly rewarding for everyone at BBH. We are thrilled that we will soon be bringing additional affordable housing for seniors to Sudbury and thank all our e-news readers for their ongoing support as we pursue opportunities in Swampscott, Brookline and other eastern Massachusetts towns and cities. Thank you for helping us create a home for Violet and our many other residents both in Brighton and at The Coolidge.